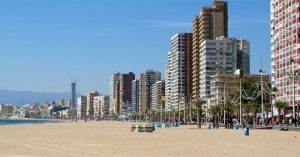 The busy beach resort of Benidorm on the Costa Blanca is ideal for families for so many reasons. As well as the gorgeous, safe, sandy beaches, there are plenty of theme parks to let off steam, a tourist bus to get you around the main attractions, a slow train ride along the coast as well as boat trips. The resort grew up in the 1960s when it became the first package tourism resort. Nowadays Benidorm continues to be a fantastic place for a family holiday to suit all budgets from self-catering to first-class five-star spa hotels. Spain-Holiday has picked its top 10 things to do with the family in Benidorm. Terra Mitica theme park is right up your street. 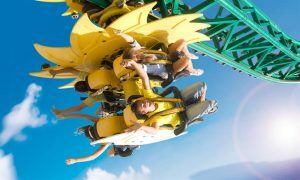 Terra Mitica has some of the best rides in Europe including Inferno where you can ride upside-down or spin like a ball at 60km an hour, the Synkope disc swinging you at 90km/hour at 120º angle and 35 metres in the air, a top-speed fall in the Flight of the Phoenix, or spinning on the inverted rollercoaster called Titanide. If white-knuckle rides and adrenaline rushes aren’t your thing, there are more gentle rides too. The park is split into different regions – Iberia Park, Egypt, Rome and Greece – to take you back to a time of gladiators, Greek gods and Titans. Spectacular shows are put on such as street theatre, mock fights, dances and flamenco with Andalusian horses. You can find out more about Terra Mitica or book online from the website. You can usually save money by booking online or to pay a pass for the season, if you are in Benidorm long-term. It is closed during the low season months. 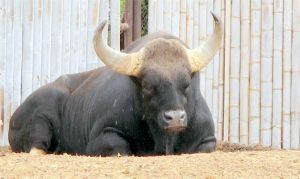 Tigers, elephants, chattering monkeys, slithering snakes, bearded lizards, birds of prey, buffalos and rhinos are some of the exotic animals at the Terra Natura wildlife park. The park has been designed to imitate the animals’ natural habitats and to make it feel as though there are few barriers between you and the wildlife. Special shows include feeding of the elephants, flights of the birds of prey, talks about different animals and donkey rides (at the weekends). There are more than 1,500 animals, including some at serious risk of extinction as well as 2,500 trees, shrubs and plants. It’s a great day out for all ages as you can learn about different animals from around the world while enjoying their antics. The monkeys are very entertaining as they swing through the trees with their non-stop, high-pitched chatter. You can buy tickets for Terra Natura on the door or online, including an annual season ticket or family pass to save money. The wildlife park is open all year. Next door is Aqua Natura water park so you can combine a trip. You can also buy tickets for both attractions to save money. Aqua Natura has a wave pool, water chutes, children’s pool and sunbathing area. It’s open from mid-May to the end of October. Benidorm’s beaches are among its top attractions and it’s easy to see why. Long stretches of golden, sand lapped by the deep blue Mediterranean are the perfect outdoor playground for all ages. Levante Beach is very popular with British holidaymakers, who can enjoy looking out to Benidorm Island or turn your back to the sea for a panoramic view of Benidorm’s impressive skyscrapers and the mountains beyond. The beach promenade is lined with cafes, bars and restaurants where you can pick up a cold drink, ice-creams or enjoy a meal with sea views. You’ll find great value menus and special offers on drinks as well as live entertainment throughout the day. It’s a Blue Flag beach with lifeguards in the summer months. You can also try water-skiing, wakeboarding and other water sports at Cable-Ski , 100 metres off Levante beach, from April to October. You can still feel a hint of traditional Spain in Benidorm’s bustling old town with narrow streets and charming little squares crammed with shops, bars, restaurants and hotels. You’ll find high street brands as well as little market stalls selling fake but cheap football shirts. The old town is a great place to wander around the shops or enjoy a meal outside while people watching. In the indoor market you can buy fresh fish, home-made sausages, cheese, fruit and veg at better prices than the supermarkets. In and around Calle Santo Domingo are traditional tapas bar, where you can savour Spanish snacks such as squid, meatballs, spicy sausages, ham or cheese for a few euros. The iconic castle viewpoint has been voted one of the most picturesque in Spain, so it is definitely worth stopping off here during your visit to the old town. You can walk along the promenade by Levante beach to get to the old town and its famous Balcon del Mediterraneo and the castle viewpoint. From here, you have far-reaching views of both Levante and Poniente beaches as well as the colourful high-rise apartment blocks and hotels. 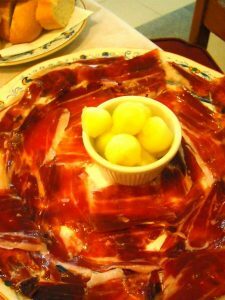 With more than 500 restaurants in Benidorm, even the pickiest eater should find something they like. 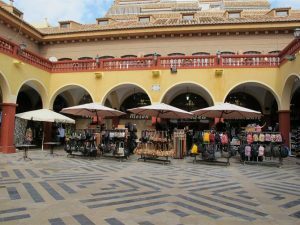 The best places to go are alongside Levante beach, in the British quarter behind Levante beach or the old town. If you want all-day English breakfast, Sunday roast, fish and chips, or pies, then the British quarter is the best place to go. The prices are incredible and you can enjoy British beers and lagers with your meal. If you want your children to try something new, tapas alley in the old town could be right for you. They can try the traditional Spanish snacks known as tapas for a few euros. It’s similar to pic ‘n’ mix as you can all choose different dishes to share. Alongside the beach are bars and restaurants, including fast-food chains, selling food at all hours of the day and night. To get a different perspective on Benidorm, you can enjoy a short trip with the family to Benidorm Island, also known as Peacock Island. The boat journey lasts about 30 minutes and you can sit back to enjoy views of Benidorm’s beaches and skyscrapers. There isn’t much to do on the island itself but it is worth going just for the ride. Your ticket includes a ride on the Aquario or Aquascope boats specially designed with an underwater viewing area so you can see fish and other marine life. The boat trip to Benidorm Island runs throughout the year from the port, weather permitting. If the little ones are getting tired, a relaxing way to go sightseeing is on board the Benidorm tourist bus. Sit upstairs for the best views as the bus takes you around the major attractions including Levante and Poniente beaches, the old town, Balcon del Mediterraneo, bullring and the Gran Hotel Bali, which is the highest hotel in Europe with 52 floors. Earphones are included so you can listen to a guided tour during your hour-long journey. 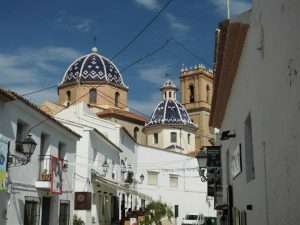 A cheap way to visit other coastal resorts on the north Costa Blanca is by train. For just a few euros, you can get a return ticket from Benidorm to Denia, a pretty beach town with a castle, old town, beaches and chic marina. If you feel the 77-minute journey is too much for your children, you could go a little way up the coast to Altea to visit its beaches and old town or Calpe, home to the iconic Ifach rock. The train runs every hour and you can book tickets online, pay at the station or on the train itself. There isn’t a toilet on board or any food or drink service. In the cool of the morning or just before sunset are great times for a family walk along the beach to the little beach at Finestrat. It’s about 3kms from Poniente beach, near to Elche park, to Finestrat. You can choose to paddle, walk along the sand or go by the coastal road, the Avda Vicente Llorca Alos. It’s a pretty little beach but can get crowded in summer. During high season, local artists and crafts people set out their stalls on the promenade, where you can buy souvenirs such as jewellery or bags. The Cala de Finestrat beach has a number of restaurants, where you can try the local fish or paella dishes as well as bars to enjoy a cool drink before heading back to Benidorm, either walking, by bus or by taxi. 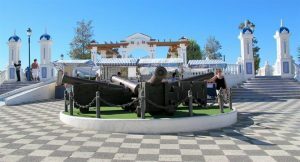 This entry was posted in Benidorm, Children, General information by neville. Bookmark the permalink.